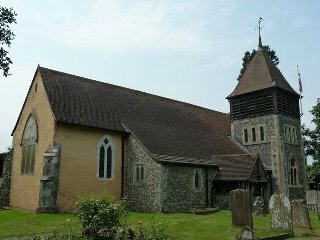 Thank you to everyone who has agreed to help open our church to visitors for just 2 hours each Wednesday morning during the spring and summer months. Stewards operate in pairs and the time passes quickly. Although we have already had to put a rota in place we would be very grateful for more volunteers as it would lessen the load on those who have already agreed to help. If you would like more information please speak to Gill Horner. Thank you to all who came to the recent World Day of Prayer, it was an occasion very much enjoyed by all. The total monies raised were £287.46, which was wonderful, as it was our highest total so far. It goes to support small projects worldwide and grants to larger organisations. A message from Jim – My licensing service at St. George’s will be Monday 29 April at 7.30pm. Being a bigger Church there is no need of a ticket system, but it would be helpful to know how many may be coming. Please give your name to Marion Strachan in the Church Centre Office on (01474) 704972. There may also be an opportunity to car share if you speak to Marion Strachan. There will be a relaxed and informal get together at Ruby Wheal’s house at 3 Hartley Road, Longfield to have a brew of your choice with some biscuits in the warm glow of the Bible. If you would like a light hearted chat through some of the familiar Bible passages then please do come along. For further information and the date of the next meeting please speak to Ruby or Steph. Could all box holders please bring them to church for Liz Gale or let her know and she will collect them. Thank you. If anyone would like to be a part of this ministry through prayer or visiting could they let either Steph, Wendy or Val know and speak to us for more information. Many thanks to all who attended the courses on 28 November and 05 December. Certificates are now available from Marion Strachan. From Sarah, Joel, Hannah and myself thank you so, so much for all the amazing gifts last Sunday. Have been overwhelmed with your generosity and we are deeply touched. The financial gift will be put to very good use at the new house with some new furniture needed. May well buy some new garden furniture so can always think of you all whilst relaxing (sorry studying!) in the garden. Meets in the Fawkham and Hartley Church Centre. Please come and join us. There is also a Messy Church Facebook Page group to follow. It would be lovely to see as many folk as possible at the Holy Saturday service tomorrow (Saturday). The service begins in a darkened church with a vigil, reminding us of the saving stories of God found in the Hebrew Scripture. We then move outside for the lighting of the Easter fire, from which the paschal candle is lit. All of the candles in the church are then lit from the paschal candle – and slowly the church is bathed in light. Finally we will renew our baptism vows and celebrate the first Eucharist of Easter. The service is particularly exciting this year as Bishop James will be presiding and preaching. It’s a unique way that the whole of the RNWK Group can enter deeply into the mystery of the resurrection. Those who attended last year thoroughly enjoyed it. After the service there will be a festive ‘bring and share’ as we break our Lenten fast. It would be wonderful if you could bring a plate of food with you to share afterwards. Please do speak to Gill or Paul our churchwardens if you’d like to know more. The service takes place at Ash Church at 7.00pm on Saturday 20 April. This will be starting at 10.00am in St. Mary Magdalene Church, Longfield. Starting at 12.30pm until 2.00pm in the Jubilee Hall. Light lunch and drinks/cakes are all provided. Donations of wool or a contribution towards its purchase is very much appreciated. This will be in Rochester Cathedral. If anyone would like to go along to support him and are most welcome and you will need to be seated at 2.15pm for a 2.30pm service start.